My most popular projects explained. For even more videos SUBSCRIBE to my YouTube Chanel. Check out MyOutdoorPlans channel, as well. 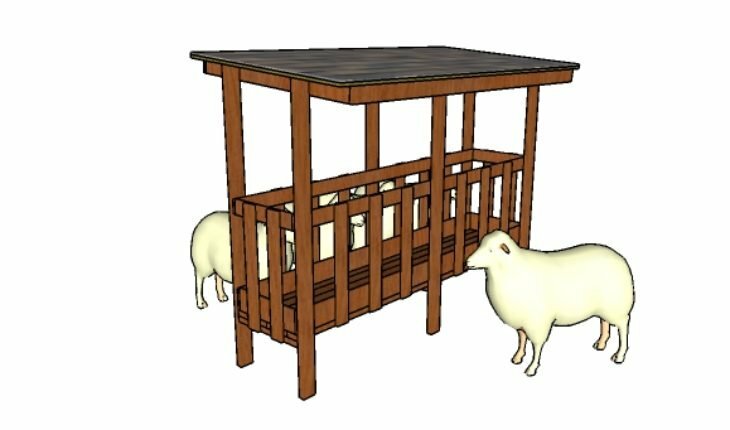 This is a sheep feeder that I have designed so you can feed the animals. The feeder is very easy to build, as it requires common materials and a few basic woodworking skills. The feeder also comes with a lean to roof, so it can drain the water in a professional manner. This is a really straight forward project, so you should get the job done really quickly and easily, in a few weeks. Nevertheless, you should consider make adjustments to the plans so it can suit your needs. You can make the feeder larger, or you can adjust the size of the roof. You can even remove the roof completely if you are going to place the feeder in a barn. See the full plans HERE.